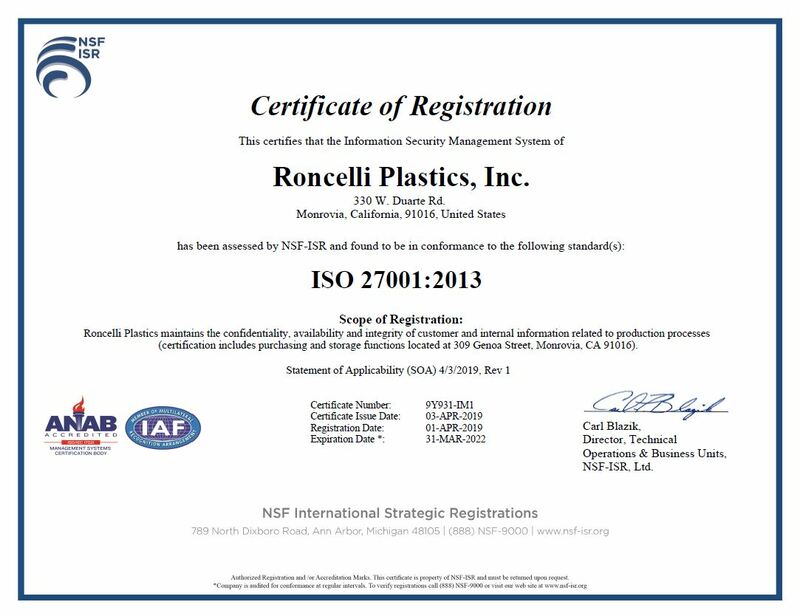 Roncelli Plastics prides our self on providing best-in-class solutions for manufacturing non-metallic components. We work with the most innovative companies across various industries; Aerospace, Medical, Oil & Gas and Semiconductor. Adding this certification, demonstrates our commitment to safeguard our customers sensitive and proprietary information by implementing solid security protocol. See the press release for more details.